Enjoy the imagination, vision, sass and style of Diana Vreeland, in a brief oral biography in Particular Passions. It was Diana Vreeland's seminal and blockbuster exhibitions at the Metropolitan Museum of Art that elevated fashion to fine art. The bag above represents for me the creativity and courage that Ms Vreeland brought to her life's work. The chapter available for all e-readers at Amazon and Apple. is probably the only purchase you'll find during Fashion Week that is a true bargain and will give you pleasure at $.99. 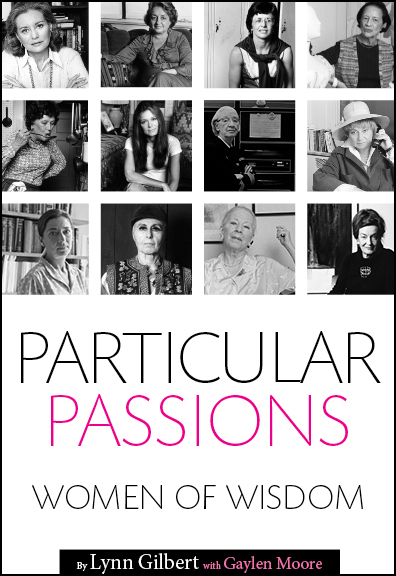 Particular Passions: is available for all e-reading devices at Apple and Amazon. The book is $7.99, and 12 chapters are available for $.99 each. "This is a wonderful book. . .The book is recommended reading for anyone—no matter what political or sociological background—who wants to know more about living history." — Santa Cruz Sentinel.